The 2018 Irrigation Show and Education Conference will take place in Long Beach, Calif., Dec. 3-7. Attendee registration is now open. Register by Nov. 1 to get the best price on education classes and registration. Housing is also open, and attendees can book their hotel online. Join nearly 5,000 irrigation professionals at this annual event celebrating the industry and providing opportunities to see the latest products and technologies. 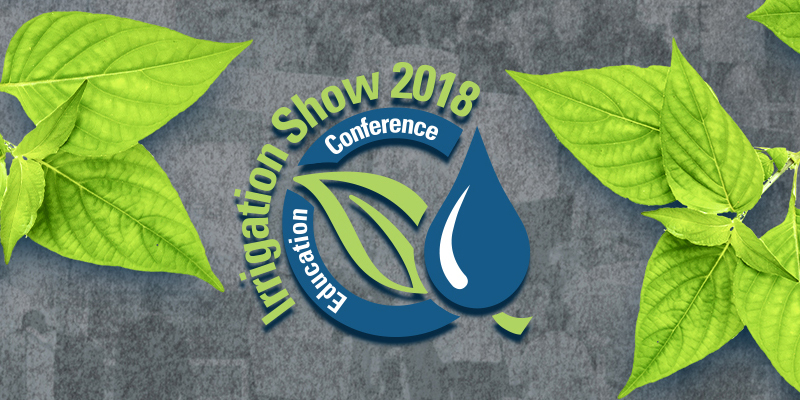 The Irrigation Show offers professional development opportunities covering all aspects of ag, landscape and golf irrigation, as well as numerous ways to connect with others in the industry. The new product contest allows attendees to see and inspect the latest technologies and hottest industry innovations introduced in the past year. The expansive show floor gathers more than 300 exhibitors in one place, representing agriculture, landscape and golf irrigation, as well as ancillary landscape markets such as rainwater catchment, ponds and waterscapes, and outdoor lighting. New show floor hours will make it easier for attendees to browse the exhibit hall—Wednesday, Dec. 5, 10 a.m.-5 p.m. and Thursday, Dec. 6, 10:30 a.m.-3:30 p.m. The show floor will include a new radio row section, where radio stations and podcasts will broadcast live and conduct interviews with irrigation professionals and experts attending the show. Learning opportunities include ground-breaking research presented by industry experts and agriculture, turf and landscape, and business classes to take your industry expertise to the next level. Spanish-language learning opportunities and a Spanish version of the certified irrigation technician exam will again be offered. The keynote address will feature entertaining and inspiring words from former NBA All-Star Mark Eaton. The general session will present the Irrigation Association’s strategic initiatives, celebrate those honored with industry awards and announce the new product contest winners. Networking events are sprinkled throughout the show week, allowing attendees to mingle with peers and make new connections. To learn more, visit the Irrigation Show page.